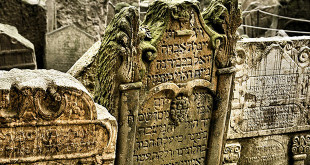 The Jewish Museum founded in 1906 is the largest of its kind in Europe and contains a huge collection of sacred Jewish artefacts. 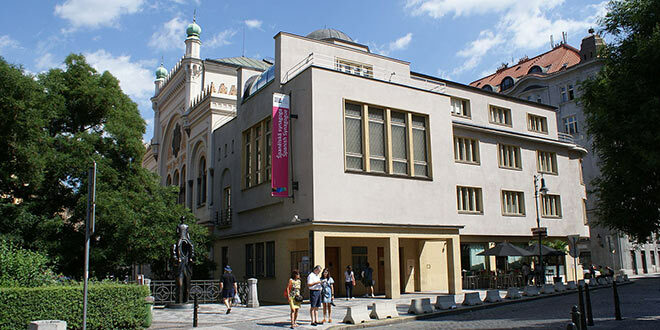 The expositions of the Jewish Museum in Prague are located in six historic sites. The Old-New Synagogue (Straronova synagoga) is still used for religious services but the others are converted into memorials and exhibition halls. The Old-New Synagogues name represents the change from being a new, modern building to now the oldest synagogue in Josefov. 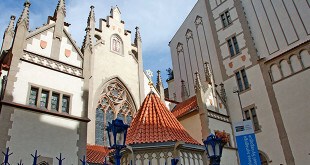 The Old-New Synagogue is also Europe’s oldest synagogue still in use and the centre for Prague’s Orthodox Jews. Above the entrance there is an elaborate tympanum covered in the twisting branches of a vine tree, its twelve bunches of grapes representing the tribes of Israel. Inside the pulpit is surrounded by a 15th century wrought-iron grill and on the walls there are scriptures from the 7th century recovered from a later ‘restoration’. It is hard to take in this view without feeling you have been transported back in time to this place 500 years ago. 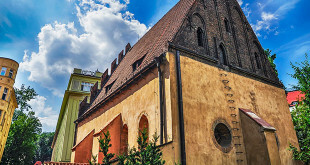 Full adult tickets cost 480 CZK, or you can buy a single ticket for the Old-New Synagogue for 200 CZK). 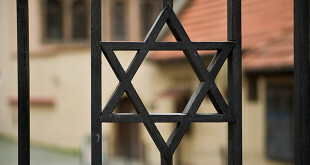 The museum is closed on Jewish holidays otherwise it is open from 9am. Tip: Considering that the displays of the Jewish Museum are spread throughout the neighborhood, most visitors think they will need a guide. However it’s easy to explore on your own, you just need a map.